I am a big fan of animals, be it domestic ones or more exotic ones such as zebras. Given this, I am a sucker for any print that has animals featured on it. This is why I fell in love with this zebra print blouse from H&M. Not only is it adorable, but it was also only $15. 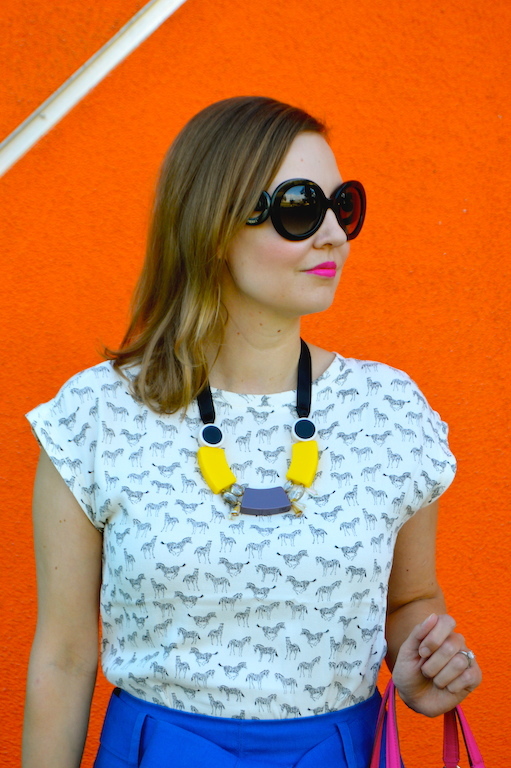 Unfortunately, it appears to be sold out on the company's website, but I linked to a similar top featuring zebras below. Also, the last time I checked, H&M had a ton in stock at the store near me, so if you're also a lover of zebras or anything a little on the wild side, definitely check it out! 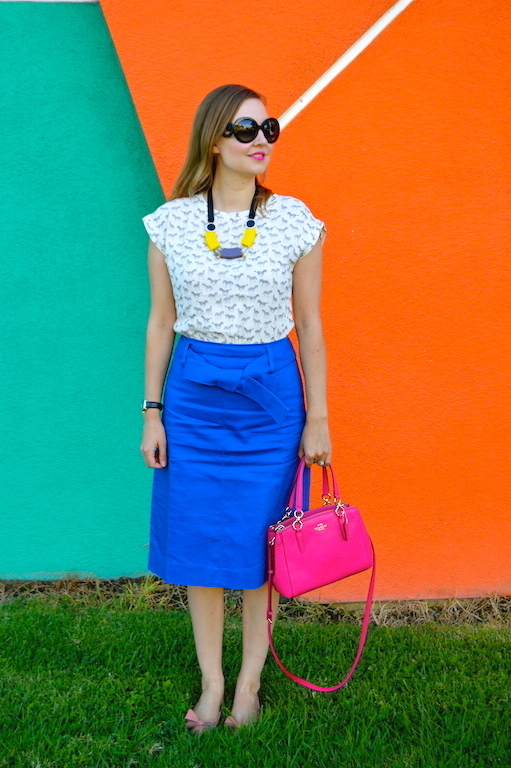 The other great thing about this blouse is that because it's black and white, it naturally lends itself to bold pops of color, which is a styling technique that I am prone to using from time to time! 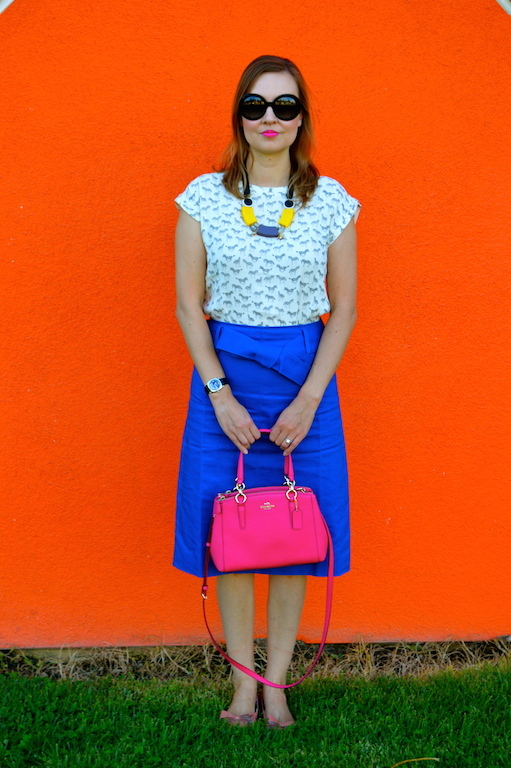 This time around I decided to pair the blouse with this bright, bold cobalt skirt and an equally bright pink bag. The skirt came with a matching sash/bow belt and since I absolutely loved how they tied the sash (and I was unsure how to recreate it! ), I was careful to only loosen the bow and then step into the skirt so as to keep the bow perfectly intact! Tying bows and making knots is definitely not a forte of mine! 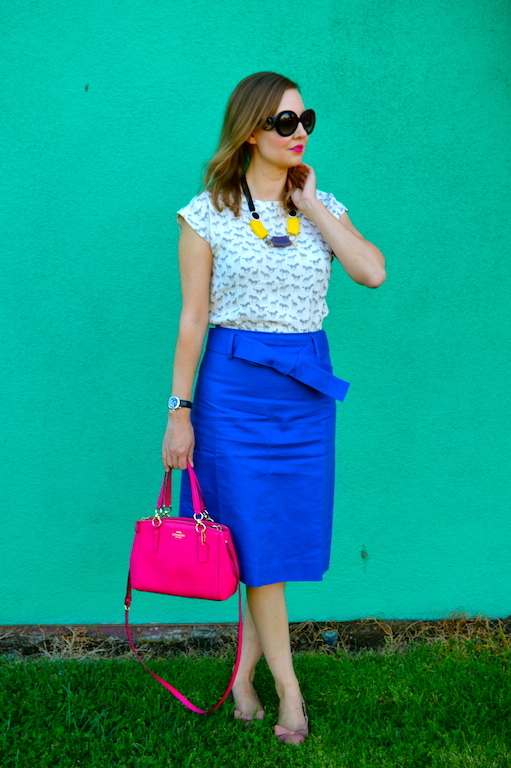 I am a sucker for all things cobalt. 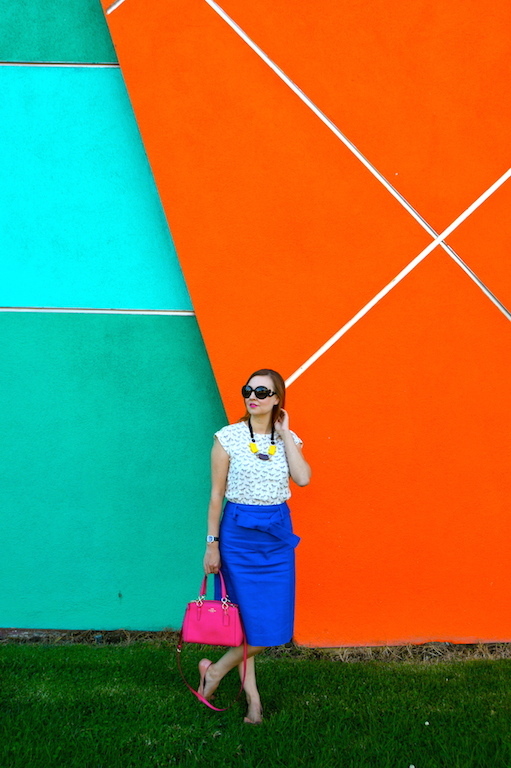 Your skirt definitely caught my eye first! Too funny about the bow. I'm right there with you! Love how you pulled it all together. Happy Thursday! Love your outfit! 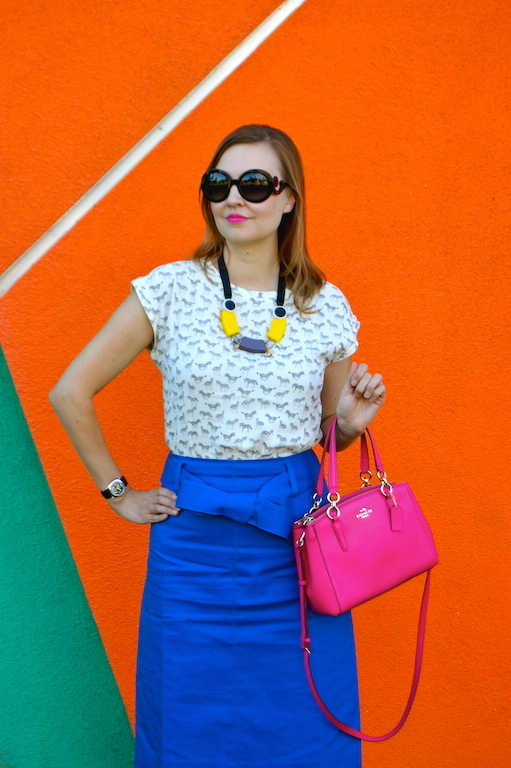 You do such a great job wearing bright colors and mixing patterns! I also love those little pink bow heels! Super cute! That zebra print is way too much fun, and the fact that it's black and white makes it totally wearable with the bright blue skirt too. And I like how you tied it, it turned out really well!